Yegan Mundie’s exploits were laid bare in The President’s Keepers and he has been keenly watched by forensic consultant Paul O’Sullivan. 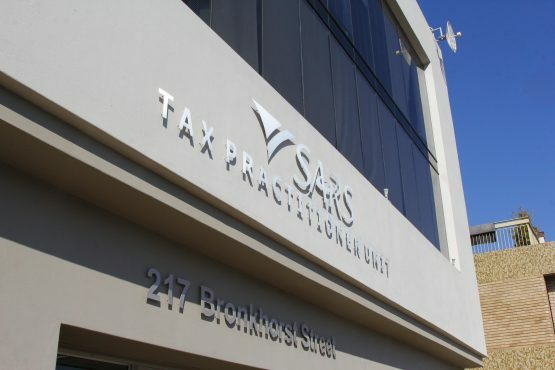 Suspended South African Revenue Services (Sars) commissioner Tom Moyane’s head of special investigations Yegan Mundie resigned from Sars on Monday, his attorney Michael Strauss told The Citizen today. Mundie had been on suspension for unlawfully possessing and distributing State Security Agency intercepts to people associated with the tobacco industry, botching certain investigations in the tobacco industry, unlawful interference in the Mark Lifman case, and the unlawful and illegal releasing of a fraudulent VAT refund. While Strauss was only meeting with Mundie tomorrow (Wednesday), he noted his client had issued a denial of all the charges against him which had led to the disciplinary, and would respond to further allegations soon. Someone who’s been keeping an eye on Mundie for several years is forensic consultant Paul O’Sullivan. “Mundie needs to explain why he was on the payroll of Zuma family associate and businessman Jen-Chih ‘Robert’ Huang. He is probably the largest importer of counterfeit goods in the country. His business partner is Khulubuse Zuma and they bring everything in from China,” O’Sullivan claimed. “When I opened dockets, the police ignored those, opened fake dockets against me and pulled me off a plane instead,” O’Sullivan said. Zuma and his father, former president Jacob Zuma had been flown to China with Huang, O’Sullivan claimed. “Moonoo went to China five times with Huang,” O’Sullivan said. Jacques Pauw’s book, The Presidents Keeper, explained how the “disaster and terror” – according to a source – that was Mundie came into being. “News24, quoting four different sources, reported that the new unit was not investigating tax evaders or money launderers, but instead was ostensibly digging for dirt against Pravin Gordhan, Ivan Pillay, Gene Ravele and Johann van Loggerenberg to charge them criminally – for whatever,” Pauw wrote. “Tom Moyane had at his disposal a team of dedicated and celebrated investigators, but instead of letting them continue doing their work, he ostracised and shunned them and dismantled their structures,” Pauw said. Pauw wrote Moyane’s choice of new chief investigator was, a former policeman and “long-time undistinguished Sars official” at the anti-corruption unit in Pretoria. “On 1 September 2016, Mundie motivated for the approval of a new unit that included features like a safe house, pool cars, infiltrations, interceptions of communications, use of agents, and covert funding through another Sars cost centre,” Pauw said. Pauw noted Huang was the owner of Mpisi Trading and the subject of one of Sars’ biggest tax-evading investigations ever. “O’Sullivan said in an affidavit that Mundie was part of a Sars investigation against Huang,” said Pauw. Sars spokesperson Sandile Memela said Mundie’s supervisor had not seen the letter but would follow up on it on Wednesday.